Objects just can’t help but mean. They act out and exceed their given context: even a mass-produced object is complex as an embodiment of specifically human relations. Within a system of art, though, the artwork is also just an object, beholden to intractable, rather more mundane considerations, like gravity. 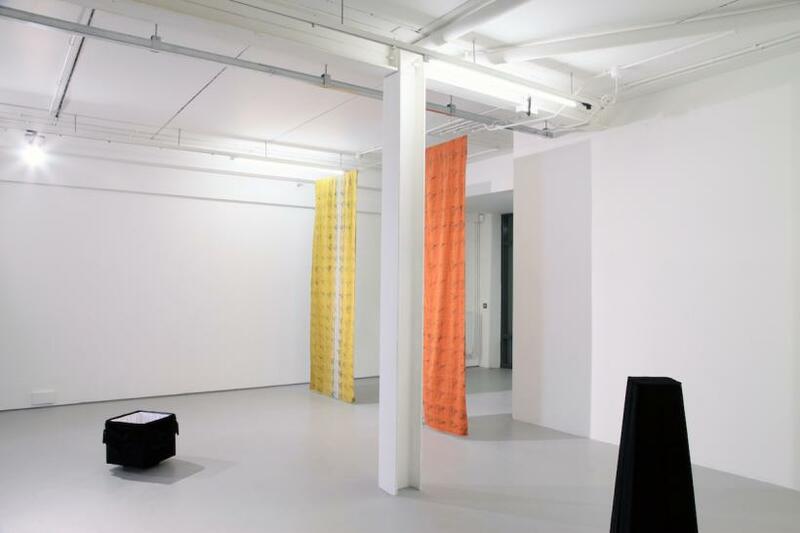 This double-bind dominates ‘Foreign Objects’, currently showing at Derry’s Centre for Contemporary Art. 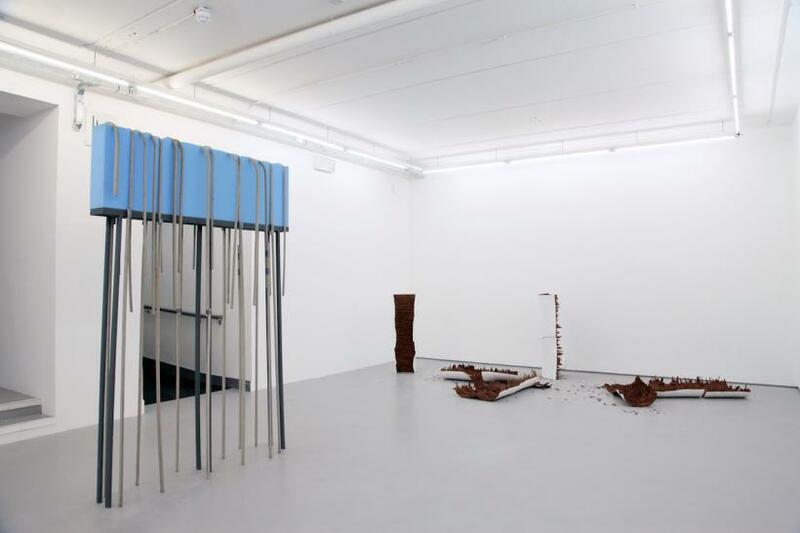 Each of the practices on show - Laura Eldret, Florian Roithmayr, and Robert Anderson - is preoccupied with objects: messy, material propositions that seem to either escape their contexts, or stick unshakeably within them. 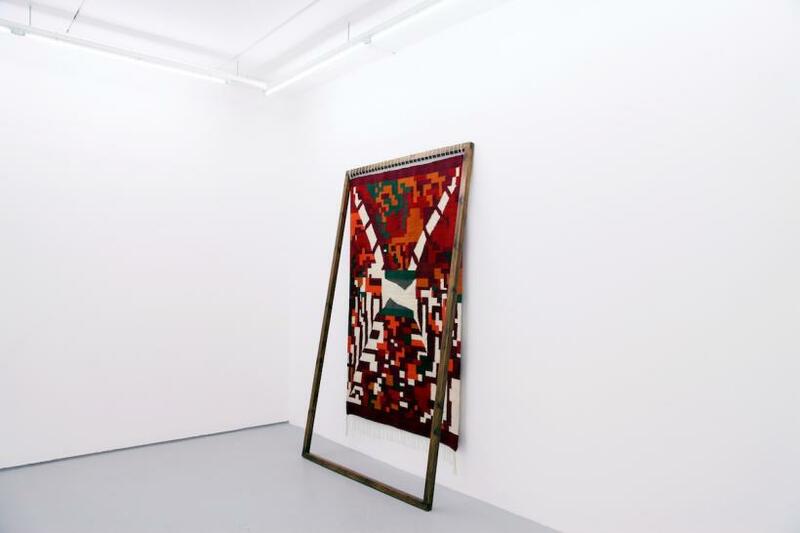 Their objects, artworks all the same, have a tenacity that exceeds their respective artistic rationale: they appear to signify, sometimes shamelessly, with or without the artist’s involvement or intent. From one perspective, calling an object “art” could be a simplification of it, in that the specific fecundity of material itself is neglected, its particular vagaries, tendencies, even its desires. This line of thought is perhaps most keenly felt in Roithmayr’s practice. Here, he shows three works: a slight, wall-based cement work, ‘Forma no. 3’ (2016); a larger mixed-media sculpture, ‘Endstart no. 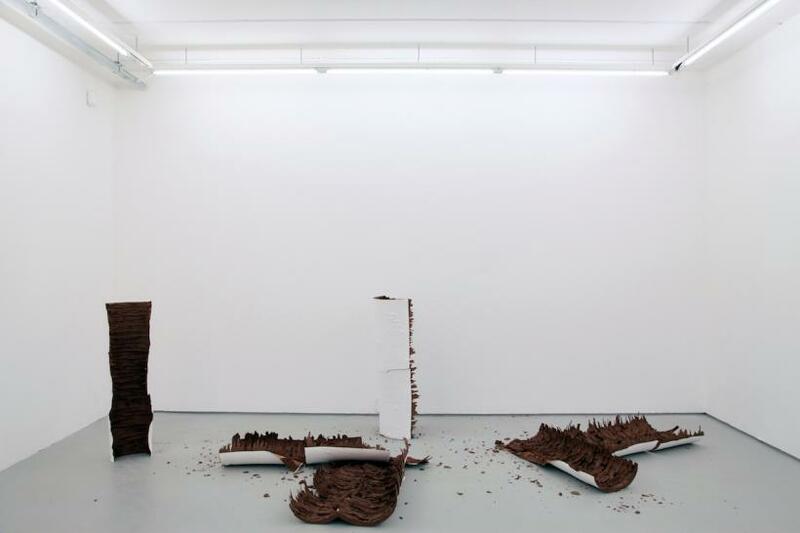 8’ (2016); and ‘∅, ∅∅, ∅, ∅, ∅’ (2016), a clay and paper, floor-based work, made - where it now sits - over the course of eight days. 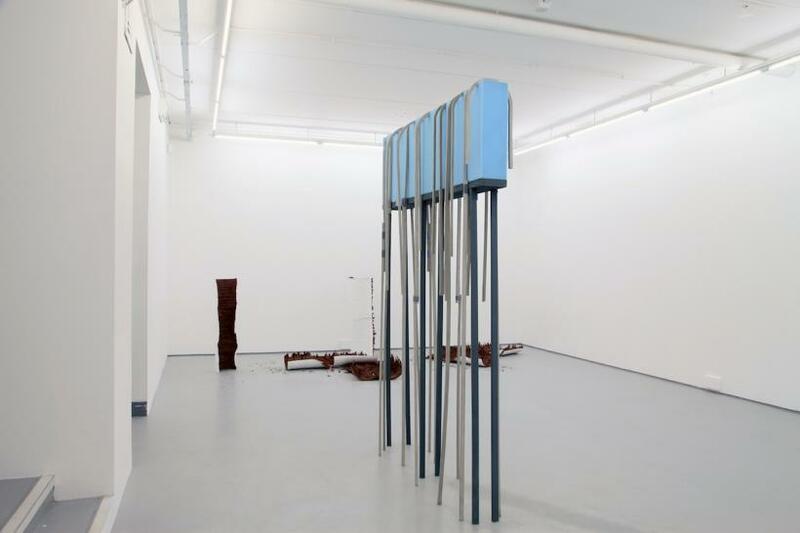 ‘Made’ is perhaps the wrong word: with each of the works here - and the latter in particular - Roithmayr allows his material’s qualities to affirm their independence, only creating a set of conditions that allows something - maybe nothing - to happen. 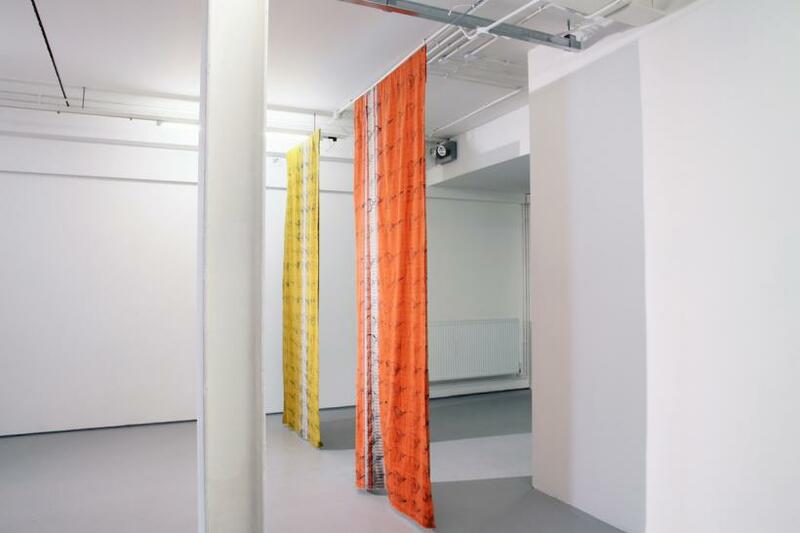 As a result, his works simultaneously represent and actively embody contestation; materially fractious in and of themselves, it’s difficult to define their duration, or whether they’re even ‘over’. ‘Forma no. 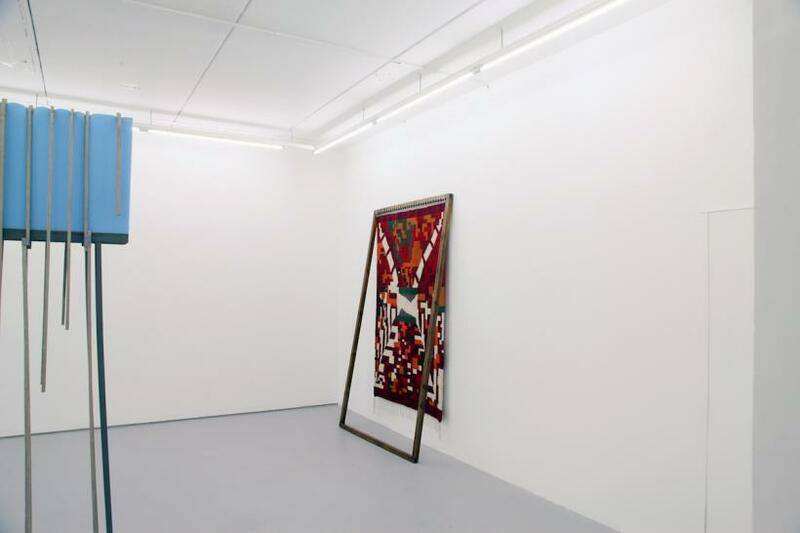 3’, ostensibly the most self-contained and formally recognisable of his works here, seems similarly in flux, its pocked blood-red surfaces, coral-like, sensing and sensible by virtue of its inviolable materiality and not by virtue of it being art. 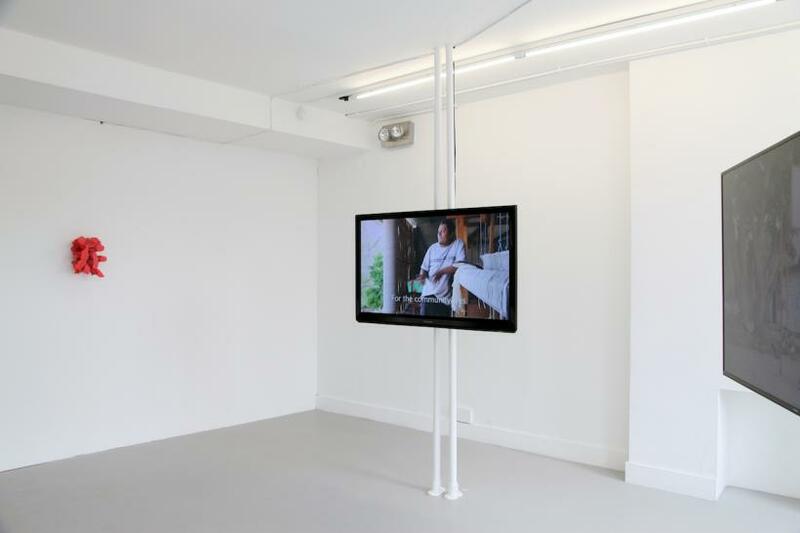 Laura Eldret’s two-channel installation ‘The Juicers’ (2016) looks at the indigenous Zapotec community in Mexico through the guise of an object: the juice-bag. Essentially a tied clear plastic bag with a straw, it is particular to their mode of consumption: improvisational and smart, but also - alongside their language and customs, like weaving - gradually falling from favour. Formally speaking, Eldret’s installation is traditional enough: two screens acting in unison to build up a picture of a community. 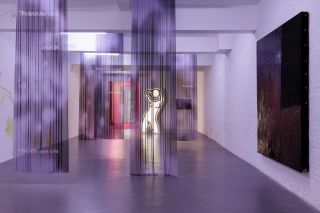 As it progresses, though, the narrative breaks down: the pictures disappear as the woozy traditional music continues, then the picture reappears, staggering around as though through an intoxicated POV. Much like a word can have various meanings (a ‘juicer’ is also somehow who uses steroids), the juice-bag should be seen as a site where meaning is contested, both from within and without. 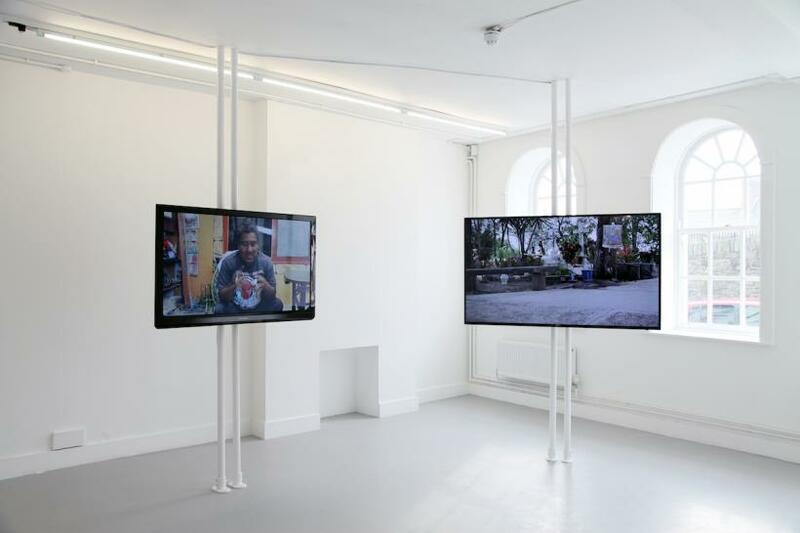 That it recurs, serialised and almost trivialised, in Eldret’s two other works here – ‘Portal on Dia de Muertos’ (2014-15), and ‘Gateway #J’ (2016) - does not render its meaning any more transparent, transferable, or even sensible. There’s still some resistance in it. 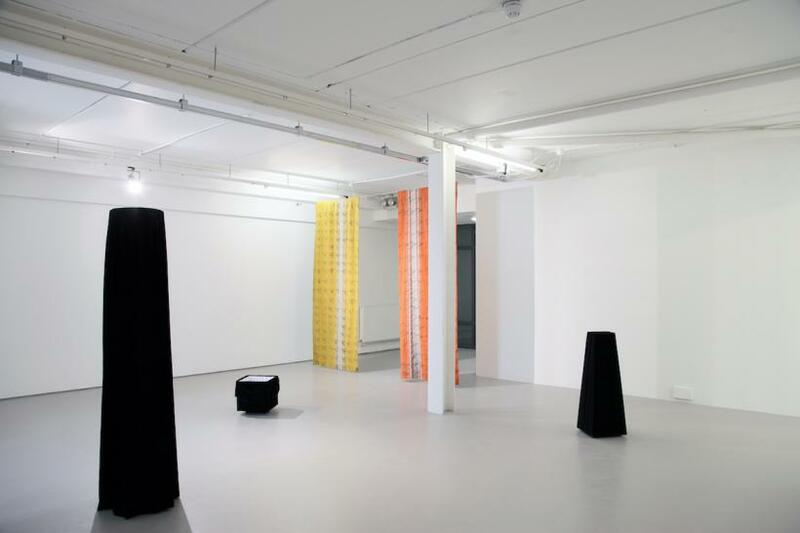 Robert Anderson’s ‘Cessation (ground, column, obelisk and cube; 2016)’ comprises, as the title suggests, a series of objects: a sheet of polished marble, leaning, terrifying in its pristine mass, against a wall; a cube; and two taller, geometric figures. They all sit within the same space, and, marble work notwithstanding, are swathed in an unyielding black velvet. The two taller objects are fully covered, creating the uncanny sense that something or someone is underneath; the smaller cube, on the other hand, is empty, its interior lined with a chintzy white fabric: satin, perhaps. The impression is distinctly funereal, like objects waiting for bodies. 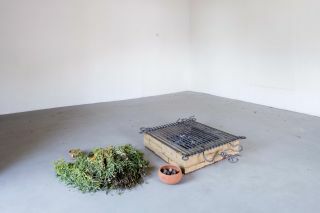 As with Roithmayr and Eldret, Anderson uses objects to permit a particular atmosphere to emerge, the only distinction being that he seems cognisant of what’s going to happen. 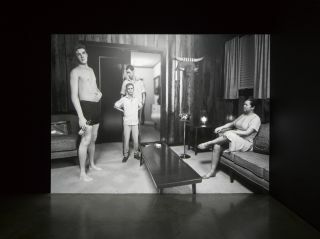 In fact Anderson’s objects appear chosen by dint of their trapped-ness, semantically speaking: loaded, the question with these objects is whether they could ever say anything else; if they could ever exceed the signification that accompanies them as simple assemblages of material, hue, and scale. What emerges as central to ‘Foreign Objects’, though, is this unruly quality: how objects slip and slide, or remain fixed, resisting our advances; in short, how we can’t control them, not fully.